Made from virtually unbreakable plastic, the Elite Penthouse Polycarbonate Hiball Tumblers are ideal for both commercial or domestic use. 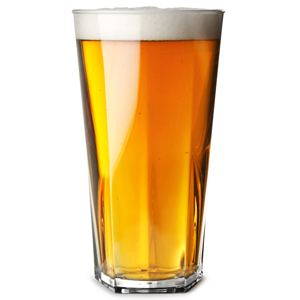 Lined and CE marked at 10oz, these 12oz reusable plastic glasses offer a safe solution to serving beer at events, parties, bars and clubs. "Great, look like normal glass and having dropped already on the floor haven't broken. However not had for long but they are great so far."